Pantaloon offers the widest and the trendiest choice in self service family shopping and a friendly and beautiful ambience. The stores have an entire range of Menswear, Womenswear, Kidswear (Only Apparels). 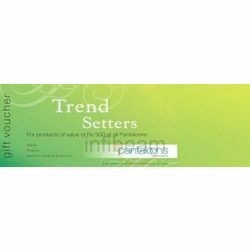 The voucher can be exchanged against apparels at all Pantaloon stores across India (except Mobiles and Gold).